In the world of SEO and marketing, there is quite a lot to learn. Just getting a proper grounding in the constantly evolving techniques and glossary of SEO can mean digging in pretty deep, and comprehending a complete high level internet marketing strategy is the sort of mind-boggling thing which surely must be left to a professional. Of course, if you’re reading this, you more than likely already know you need a professional in your corner to really get the job done right. Yet, if you know next to nothing about SEO, how can you actually tell if the job is being done right or not? While you might not have time to become an Austin SEO expert yourself, if it is an important facet of your business, you need to at least have some concept of the tools and methods of SEO – know how to see if results are actually being produced and have knowledge of how to best work with your consultant to achieve the results you want, while also being able to evaluate their proficiency. So how do you go about this? 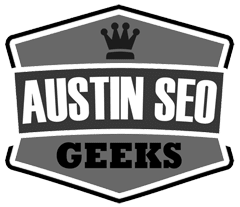 Below we’ve prepared nine questions which should always be asked when interviewing a SEO consultant in Austin. 1) Have them explain exactly what they do and how they do it. In SEO, transparency is king. If your consultant is unwilling to disclose how they do things, take it as a serious red flag. While every SEO strategy has its own unique flavor to it, they all more or less rely on a set of proven, trusted underlying methods. These methods are no secret – you can learn them yourself on Google, but implementing them is a trickier business. The aim behind hiring a consultant is not to gain some secretive, proprietary information or hither-to-unknown SEO techniques, it is to have an experienced, proven professional implementing known techniques. 2) Ask the consultant exactly what is required from you or your business to make your SEO campaign a winner. Depending on the type of SEO strategy you are embarking on, your business may have to be putting in money and time to support the ongoing campaign – or in simpler cases, basic SEO plans may require virtually zero input from the business and be entirely up to the hired consultant. Determine how much you are willing and capable of investing in your SEO before contacting your consultant, and then ask them to give you detailed information on what will be required from you to make their strategies a success. 3) Make sure you control your ENTIRE web presence. Aside from your businesses own website, your web presence probably consists of profiles on social media like Facebook, Pinterest, Twitter and Google+. You might have accounts on all kinds of review sites like Yelp, statistical tracking information on things like Google Analytics, and potentially a whole host of other supporting websites and applications. To effectively implement and execute your SEO strategy, your consultant will require access to these accounts – and if they have yet to be set up, it maybe the duty of the consultant to establish them. Yet it is vital that the business retain complete control over all of these accounts. Too frequently does a disgruntled ex-employee or a SEO firm no longer under contract withhold access to accounts they had created, potentially damaging the company and website. From the very first contact with your consultant, make it abundantly clear that you MUST retain complete control over all accounts related to your business. 4) Ask about their usual return on investment. Assuming your consultant is up front and honest, knowing what their return on investment looks like can be one of the quickest ways to get a real sense of the profitability of using their services. Instead of foggy concepts like a percentage of traffic increase, ask them for hard details like how many customers their services generated for past clients within the first 3 months, or how many verified leads they can typically create within a few months. A quality SEO consultant should be more than happy to extrapolate on all of these details and provide you with all of the figures they have available. If they seem hesitant or unable to answer these questions effectively, take your business elsewhere. 5) How do we know if its working? This is in some ways a multi-faceted question, but it essentially boils down to this: how is a consultant going to demonstrate to the business that their efforts are actually effective? Expect to get answers like increased traffic to the website, more customer interest (i.e. e-mails, phone calls, inquiries,) and of course improvements in search rankings for targeted keywords. But in addition to asking about the methods they use to see if things are going smoothly, understand how the consultant plans to present this information to you. Some consultant agencies actually have web interfaces which allow for a quick breakdown of statistics, others generate monthly reports, others have regular meetings with the business to provide updates and data. Whatever the method, make sure they have an effective way of communicating their results and methods. 6) Make sure they are building high quality, effective and legitimate back links. This is one of the biggest parts of understanding exactly what your consultant is doing. Many SEO consultants drive their business through linking to their clients via websites they own or have access to, artificially inflating the number of back links. While this strategy can be effective, it is sometimes frowned upon by search engines. But largely the concern with use of this method is the control that it gives the consultant over the client. If the client doesn’t renew their contract, a rogue agent might remove all of the links from sites they control, with potentially harmful consequences. When interviewing your agent, make sure their plan is to secure actual back links from legitimate websites which are not affiliated with their consultancy. 7) Ask them how the competition is doing it. In addition to understanding the valid, “proper” methods of SEO, it is also important to understand how the darker underbelly of SEO is operating, as you will be having to compete against these elements. Things like spamming and techniques designed to manipulate search engines can often lead to harsh consequences when caught, yet they are still sometimes effective in the short term and seemingly daily some new exploitative technique manages to generate great results for a small group before being curtailed by search engines. You want a consultant who plays thoroughly by the rules, yet is aware of the trends and the methods being used by those with less regard for maintaining an upstanding operation – after all, regardless of what rules they play by, they are your competition. 8) Ask for results and references. Your consultant should readily have some success stories to show you – the main thing you want to look for is sites they have successfully managed to get to a #1 spot in Google for multiple search terms with high difficulty. Ask to see these results for yourself as well as an explanation of what they did to get there. In a similar vein, you want to get some references from the agency regarding their past clients. Take some time to discuss the challenges of their business and make sure you hear about some of their shortcomings and failures as well as their success stories. 9) Ask them to demonstrate what makes their consultancy stand out from other SEO agents. What quality does this particular agent or agency bring to your business that you won’t be able to find anywhere else? Make the consultant sell you on themselves until you know you have found the right option. As a vital part of your business, an SEO consultant needs to be able to work alongside you and establish a trusting, productive and mutually beneficial business relationship.